I honestly never thought I would ever be someone to go on a London walking tour. Why? Well, because I always thought walking tours were for unimaginative tourists AND why would you do a walking tour of a place where you live? Well, consider me corrected, because I actually really enjoyed my recent Instagram Photo Tour of London with the fabulous Charlotte from BestLDNWalks in association with Giff Gaff. Waterloo Bridge was built by women – and it is coated in a special substance that cleans it when it rains! Ingenious. Hippos used to swim in the Thames! No, seriously. And that’s why you may have seen that giant hippo boat floating down the river at some point this year. 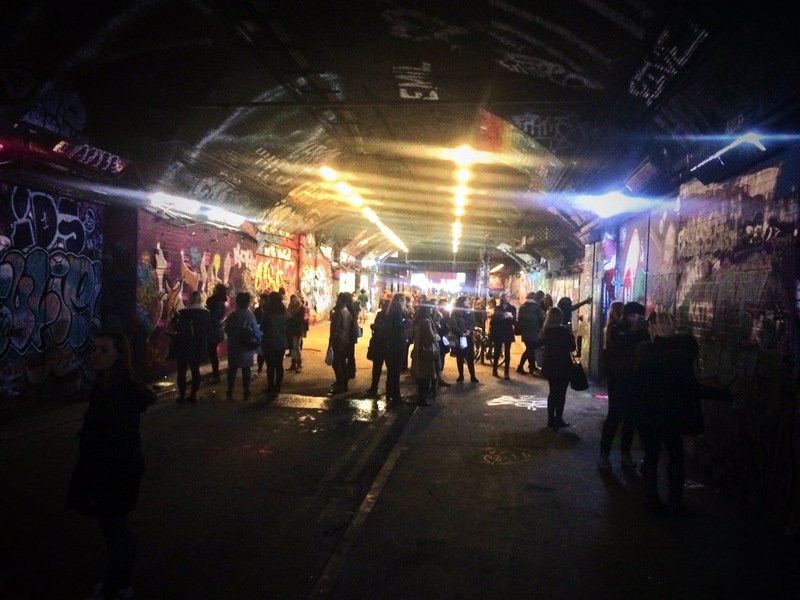 Banksy actually owns the Leake Street Tunnel and rents it back to the borough of Westminster so that people can graffiti to their hearts’ content – legally. Interesting, no? And as this was an Instagram Photo Tour, we did spend quite a lot of time working on our snaps. We also picked up a couple of tips from Phil at Photography Made Simple, who accompanied us on the tour. If you want to improve your photo knowledge, head over to Photography Made Simple, where Phil shares some great tips. He was the first person to do a mobile photography course, so he’s the right place to start! Oh, and I WON a prize for the best tweet on the night! Just wait for another blog post detailing my prize – A LONDON PUB TOUR for 6! Bring it on! For more photos, just search the hashtag #giffgaffmobile on Instagram and Twitter to see more of what we were snapping on the night! The official event blog is here. Thank you so much to Giff Gaff for organising the event, to Phil for giving us all the best photography tips and, of course, to Charlotte from BestLDNWalks for guiding us around our city. Are you tempted to try this out? Use the code LDNBlogger to bring a friend for free!